﻿Rüsselsheim. 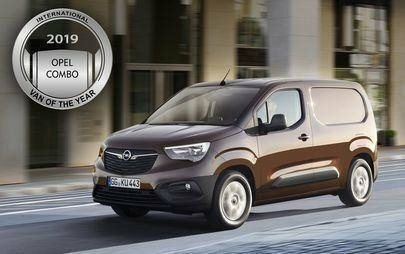 The new Opel Combo Cargo is International Van of the Year 2019 (IVOTY), the most coveted title in the Light Commercial Vehicle (LCV) business. Awarding the Combo 127 points, the jury of 25 specialist journalists from 25 European countries put the new Opel well ahead of the second-placed Mercedes Sprinter (92 points). The high driving pleasure, the innovative assistance systems and the economy of the Opel van played a decisive role in the new Combo bringing this prestigious award to Rüsselsheim for the third time since its introduction in 1992. Opel previously won the International Van of the Year award with the Astra Van in 1999 and with the Vivaro in 2002. 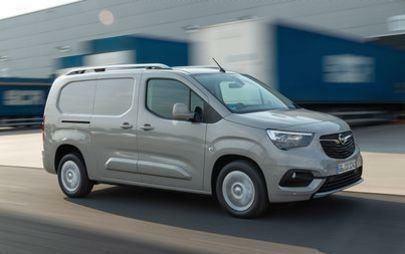 The new Opel Combo has been developed by Groupe PSA and optimised to meet the needs of the brand. The prize-giving took place at the IAA commercial vehicle show in Hannover. Opel CEO Michael Lohscheller accepted the award for the Combo from IVOTY President, Jarlath Sweeney.